Although the 7800 had a relatively short lifespan, it generated several different label variations. Original Style Not really a label variation, but a pre-release style. 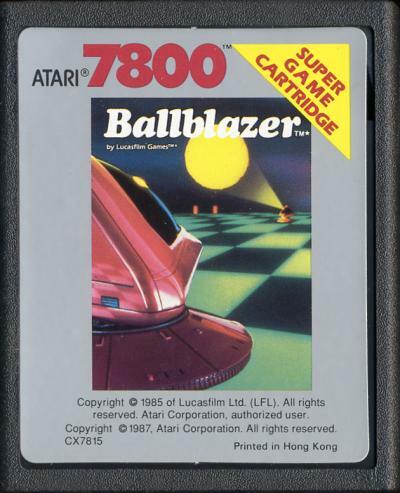 In 1984 Atari had plans of launching the 7800, with a neat looking silver label and a gridlike pattern. The picture was in color, and tilted at a 45 degree angle. After Atari shelved the 7800 this label style was scrapped, but a few pre-release carts were made (most likely for marketing purposes). There are very few of these carts in existence, possibly less than 10. 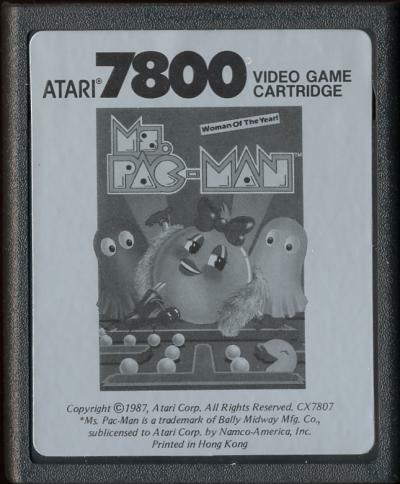 B&W Picture After Atari scrapped the colorful 1984 labels, they released the first nine games in this style with the ill-fated 1986 launch of the 7800. The style is very similar to the 1984 label, but everything is grayscale, the grid pattern has been removed, and the picture is no longer tilted. 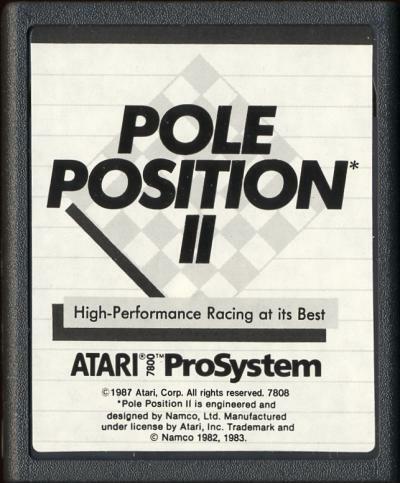 It's interested to note that Pole Position II which was also released at this time had it's own label style which is identical to how it looked in 1984. Color Picture - Red Text After Atari realized that boring grayscale labels weren't going to cut it, they grudgingly opted for color labels . 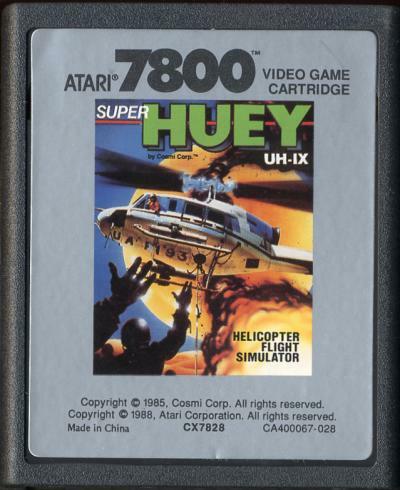 The game picture was colorized, and the Atari 7800 logo and end label text was written in red. All Red Text releases with the exception of Choplifter have a small yellow triangle in the upper right hand corner that says Super Game Cartridge. 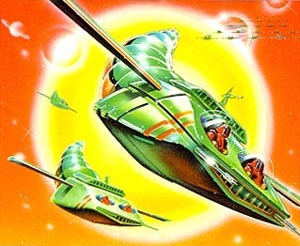 Atari used this style for it's second wave of releases in 1987. 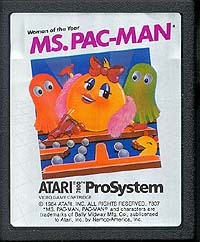 Color Picture - Black Text Very similar to the other color label style, but the Atari 7800 logo and end label text is black instead of red and the yellow triangle has been removed. Atari used this style for the rest of the 7800's life. Pole Position II Very odd label style, the main label is white with line gray lines (looks like notebook paper), and the Pole Position II logo in the center and the slogan "High Performance Racing at it's Best" in a gray box underneath it. The 7800 logo is at the bottom of the cart and looks very different from the regular logo, and is actually quite similar to the 5200 logo. The end label is black with white text. It's interesting to note that other than the copyright date this label is identical to the 1984 Pole Position label. Only the pack-in version of PPII has this style, later when Atari sold it separately it came in a normal Color Picture Style. Red End Label This label is an anomaly, the main label looks just like a regular Ballblazer cart, but the end label looks like a Red Style 2600 label. This variation is a little more uncommon than the normal Ballblazer cart, and is much easier to find in PAL format. No one is quite sure why Ballblazer was released with this style, but it may have been an error at the factory. Only Ballblazer has been seen with this style.